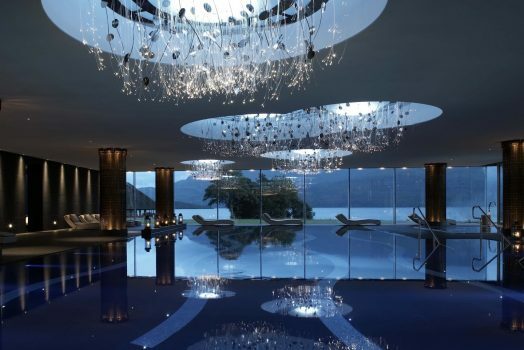 A fantastic place to relax and unwind, the 5* Europe Hotel in Killarney is sure to leave you feeling revitalised and inspired. Immerse yourself in luxury within the rolling hills of County Kerry, Ireland and enjoy stunning views of the world famous lakes from your very own balcony. With a fantastic range of leisure activities to choose from including horse riding, boating and fishing, walking and hiking, tennis, swimming, gym activities and spa treatments – what more could you want! The Europe Hotel & Resort in Killarney offers luxury accommodation with elegant bedrooms and opulent suites in a classic style. These enjoy either hotel garden or lake views. All rooms are finished to the highest standard and each well-appointed room includes a satellite television, a DVD player, a fully stocked mini bar, a direct dial telephone, a safe, hairdryer and soft bathrobes and slippers. 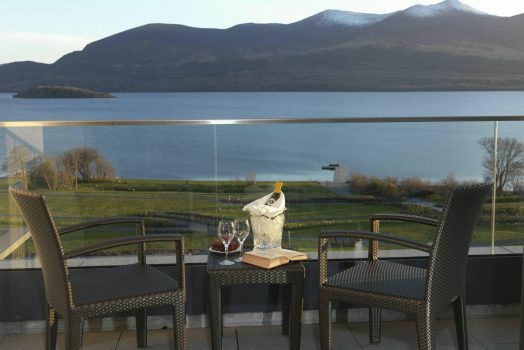 Many of the rooms and suites have spacious balconies offering magnificent views of Loch Léin, the largest of the three famous Lakes of Killarney, as well as the surrounding rolling hills. This affords each guest who stays with us the utmost privacy. The Europe Hotel & Resort has 187 bedrooms. The suites include one ‘Presidential Suite’, two ‘Penthouse Suites’, and three ‘One Bedroom Suites’. Our rooms include 12 Superior Lakeview Rooms, 97 Lakeview Rooms, 11 Superior Golfside Rooms and 61 Golfside Rooms. Book a midweek (Sun-Thurs) stay with us in October, November or December 2016 and enjoy a complimentary upgrade from a Golfside category room to a Lakeview category room! The Brasserie Restaurant at the luxury Europe Hotel and Resort, with terrace for relaxed al fresco dining, is open daily from 11am to 11pm serving light snacks to succulent flamed grills steaks cooked in front of you by award winning chefs on an open grill. 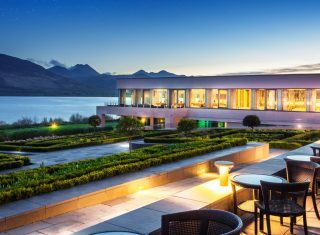 The 5 star Europe Hotel & Resort’s Panorama Restaurant has one of the most enviable views in Ireland with vistas of the Lakes of Killarney, mountains and gardens stretching before you. 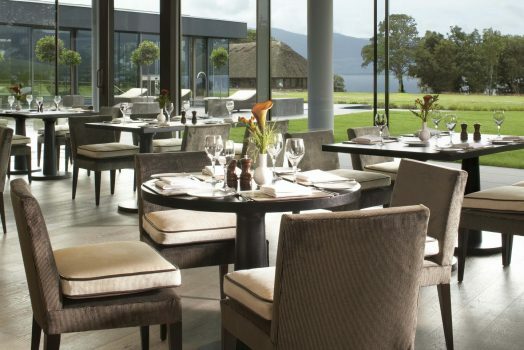 This Killarney hotels restaurant is open for breakfast and dinner (closed for dinner on Sunday and closed seasonally on selected days in February, March, November and December) providing fine dining at its best, highlighting Irish and international cuisine. At one the finest luxury hotels Ireland has to offer, The Spa Cafe has a relaxed environment with covered external terrace overlooking the lake and garden, serving light, healthy Spa cuisine and refreshments. Open from 12am to 5pm (seasonal). The Europe Hotel & Resort’s bar is both charming and relaxing, where dark wood panelling and deep leather arm chairs go hand in hand with open fires and traditional music. Experienced staff who have been with Killarney hotels for 40 years, will look after your every need, from a simple pint of the “black stuff” to local advice on your next day’s outing. Somewhere to relax and reflect on your day’s activities. 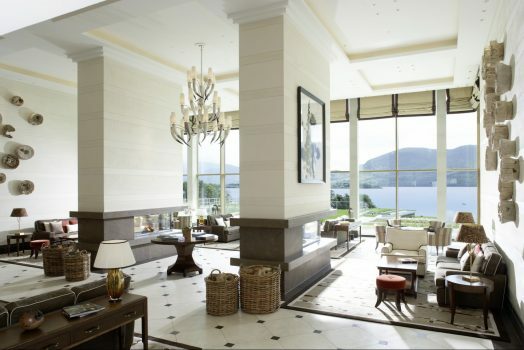 Sit back and relax in The Lounge of this Killarney hotel – where time stands still and catches its breath. Where 24 carat gold leaf ceilings blend seamlessly with Irish woven blankets, crystal candlesticks and hand carved wooden ornaments. In the morning sun, read today’s newspaper by full length picture windows or as evening draws in, relax by an open fire with an after dinner brandy. 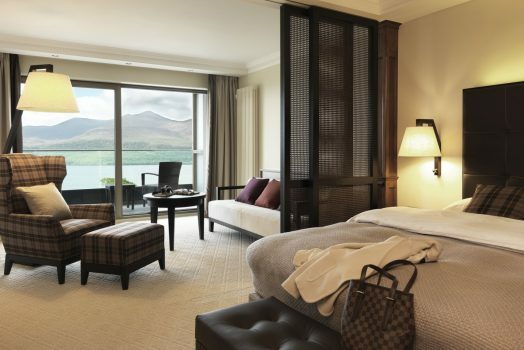 Relax in comfort and style in one of the most luxurious Kerry hotels. Prices on request and subject to availability. Contact our incoming team for more information!